Perfume Review – Ineke Hothouse Flower: Welcome to Spring! Spring is in the air. 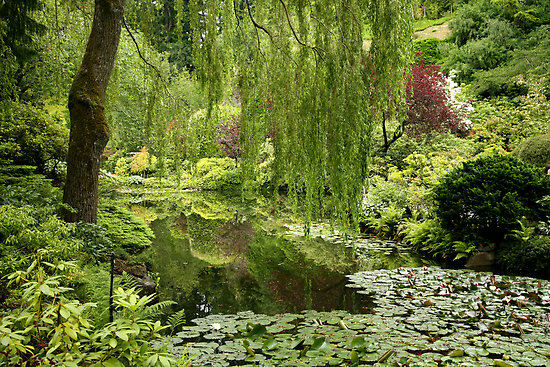 The garden is a sea of green, bright, dark and light, all showing signs of the lushness to come and falling like a waterfall over romantic secluded arbors. White flowers raise their heads in the corners and open their delicate buds, reaching towards the sun to let their sweet scent waft in the air. Dew sparkles like diamonds on the leaves. A spring shower is imminent. That is the image evoked by Hothouse Flower, a very pretty fragrance from the San Francisco niche perfume house, Ineke. I received a sample as a gift from my fellow perfume blogger, the lovely Undina of Undina’s Looking Glass who is a definite expert on florals and who enjoyed the freshness of the scent enough to buy a full bottle. Hothouse Flower is a soliflore which means a fragrance centered around one single flower; in this case, gardenia. This is not your usual gardenia, however. It’s not a 1980s heavy, indolic, overpoweringly thick, or headache-inducing white floral. Instead, it is the brightest, lightest, most Spring-like gardenia you can imagine and is accompanied by the freshness of green leaves and Earl Grey tea with peppery woods — all over a quiet base of light musk and smoke. Top notes are Earl Grey tea, green folliage and cypress; middle notes are gardenia, galbanum, fig and frankincense; base notes are guaiac wood, musk and corn silk. Hothouse Flower opens on my skin as a bouquet. It feels like an armful of the loveliest fresh hyacinth, tuberose and gardenia flowers have been bound up with the brightest green leaves and a dainty, white ribbon. Though there is no hyacinth or tuberose in the notes, it really feels like it. The flowers have an unusual twist, however. They are peppered! The note is light, though, and never takes away from the freshness or airiness of the scent. While the pepper waxes and ebbs in prominence throughout the perfume’s development, in the opening minutes, it is particularly subtle. 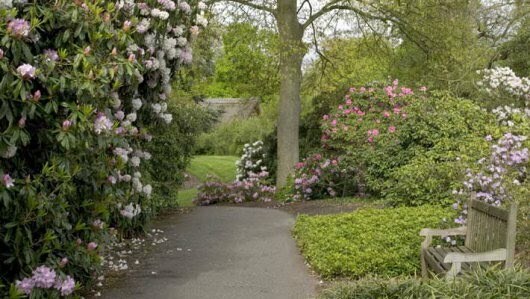 Those minutes transport you to the most beautiful country garden, surrounded by walls of climbing greenery and the most fragrant of Spring flowers. I truly expected a Spring shower at any moment, as I inhaled the delicate bouquet with its dewy, fresh notes. 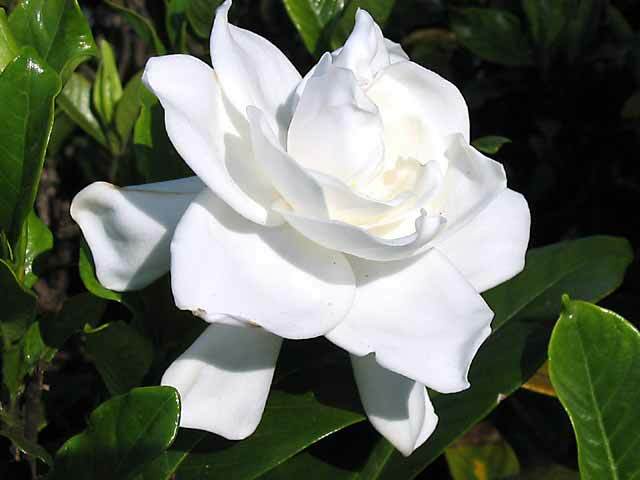 The gardenia is surprisingly light for such a rich flower, though there is already an undertone of coconut which I found to be a bit disconcerting in the midst of such an airy symphony. Its underlying richness is a paradox, given the freshness of the fragrance which has a very gauzy, lightweight texture. As time progresses, the green notes grow more prominent. The scent of new leaves is now joined by the aromatic fragrance of Earl Grey tea. Together, they serve to counter that initial coconut undertone to the gardenia, as does the persistent peppery note. Though I would have preferred absolutely no coconut (which sometimes feels here a little like coconut lotion on my skin), there is no denying that Hothouse Flower is a lovely balance of light sweetness, never heavy or overdone. Soon, ten minutes in, the perfume transforms from a spring bouquet to something that is less purely floral in nature. 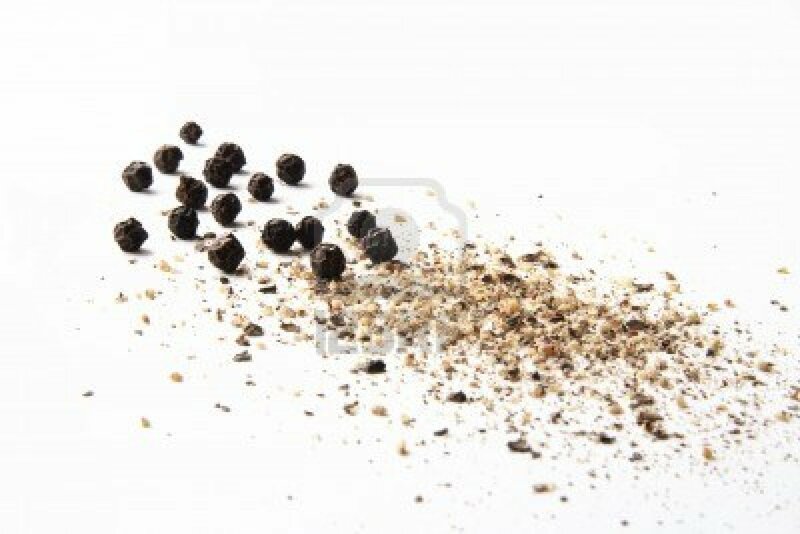 The quiet note of finely ground pepper starts to turn woody, bringing the garden’s trees into the mix. Cypress has definitely entered center stage, singing a duet with the gardenia, while fig hovers shyly to the side and in the background. The latter is not a ripe, gooey, sticky version of the fruit but, rather, more akin to something fresh and just barely sweetened. It’s a lovely counterpart to the dark peppered woods. It also contributes to the fresh aspects of the scent when combined with the subtle undertone of earthiness from the galbanum which feels, here, a little like rich, wet soil. The two notes very much add to the overall feel of a garden first thing in the morning. As noted earlier, the Earl Grey tea note is also noticeable but, like much to do with this fragrance, it is extremely light and subtle. It adds a quiet fragrancy to the green and dark notes, but I think a true tea-lover may find it a little too muted and ephemeral. That said, the second time I tested Hothouse Flower, I applied a far greater quantity of the perfume and the tea note was a little bit more evident. 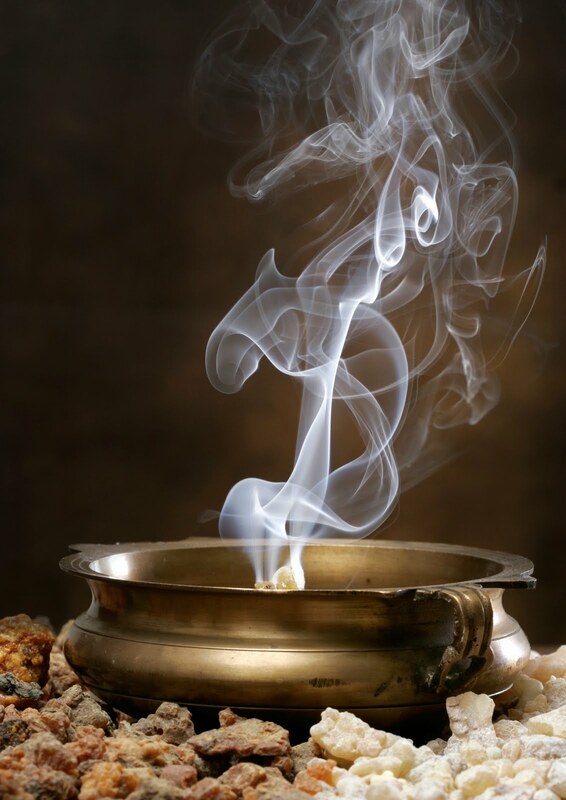 When combined with the woodsy notes, the smoke from the frankincense, and the pepper, the tea takes on a more complex undertone than mere bergamot. This is not citrusy, and definitely resembles Earl Grey instead. Nonetheless, as a whole, it is extremely subtle and never really stands out on its own in this well-blended fragrance. Despite the darker notes, the true star of the show is the gardenia. It is really lovely and delicate. Regardless of its creamy coconut undertone, it is also never indolic, thick, custard-y or excessive. I know Hothouse Flower is supposed to represent the lush, hot-house version of the flower, but the perfume is simply too airy, thin, fresh and light for that. For many people, that will be a definite plus. Nonetheless, by the end of the first hour, the perfume does lose some of its gorgeous freshness. The green notes vanish for the most part, and there is no longer the impression of a dewy, Spring bouquet. But Hothouse Flower was intended to be a gardenia soliflore, first and foremost, so I certainly can’t (and don’t) fault it for that. From the second hour to the end of the perfume’s development, Hothouse Flower takes on its primary characteristic: coconut-y gardenia over a base of light smoke, subtle pepper and quiet musk. It never changes beyond those notes. It may not be wholly my cup of tea due to the coconut, but it is pretty. The addition of the really subtle smoke note from the frankincense and the almost imperceptible pepper hovering in the background adds a lot more complexity to the scent than one would initially imagine from the word “soliflore.” Moreover, despite the rise in the coconut undertone — which makes Hothouse Flower a much richer, heavier scent than it was initially — it’s still incredibly lightweight. In fact, it’s so light, I had a big problem smelling it at times. The sillage begins at a very low-level from the start, but soon drops even further. Within an hour, at most, Hothouse Flower is a skin scent. By the end of the third hour, I had thought it had disappeared completely! It is a little surprising for something that is eau de parfum concentration. To be honest, I’m not even sure how long Hothouse Flower lasted on me. The first time I tested the perfume, it seemed to vanish by the time the fourth hour rolled around. Only by extremely determined sniffing (in this case, more akin to the feral attack of a hyena on my arm) could I detect small patches of it lingering here and there. By the start of the fifth hour, I wouldn’t swear to its presence in any noticeable way. However, the second time I tested Hothouse Flower, I doubled the amount and could smell faint traces a little after the 6 hour mark. Clearly, this is a scent whose projection and longevity you can manipulate via quantity. Again, I think that will make the perfume ideal for those who like extremely discreet, very light skin-scents. However, those who prefer moderate projection or great longevity — not to mention more body — will be sorely disappointed, as this is a very thin, sheer perfume. You may have to apply a double-to-triple dose if you want to detect its smell after the first hour from more than an inch away, and to have it last a substantial amount of time. Despite those issues, Hothouse Flower is a very pretty fragrance and it’s made even lovelier by its price. In the world of niche perfumery, finding a well-blended, well-made, non-artificial, lovely scent that retails for under $100 in a large (2.5 oz/ 75 ml) bottle is a bit like stumbling upon a mythical unicorn in some secret garden. But Ineke Ruhland has done it. Not only that, but she also makes her perfumes extremely accessible via a Deluxe Sample pack of all eight of her eau de parfums for an incredible $25 with free shipping. Honestly, it’s mind-boggling. One cannot help but give a huge “Brava” to someone who very clearly wants the world to enjoy perfume without problems of access or cost. Gardenia bouquet. Photo: Eric Kelley via Wedding Chicks on ILoveSWmag.com. 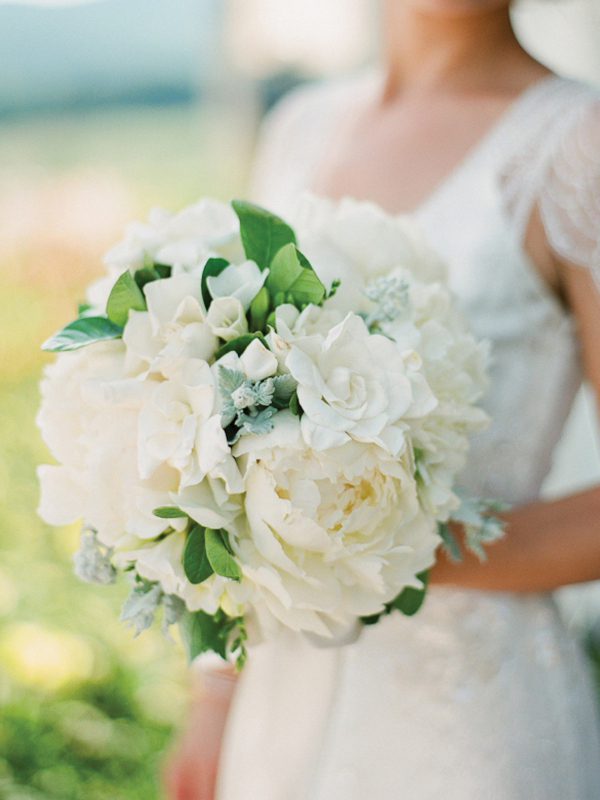 For more beautiful gardenia bridal photos and bouquets, click on the photo to go to the website. Hothouse Flower smells like Spring erupting on all sides. It’s Spring on steroids. It is extremely uplifting and soothing. I could see this being very complimentary to the aroma of a morning cup of coffee. It’s like natural anti-depressants. 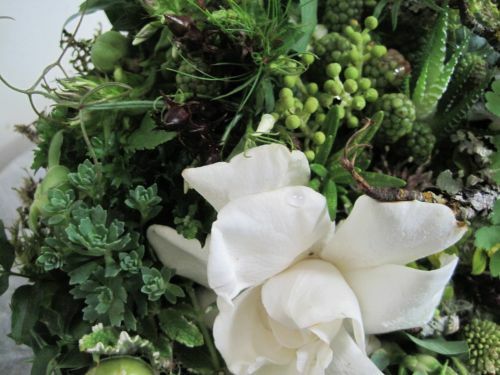 If you like gardenia, but dislike those heavy, sneeze-inducing, overpowering florals, this variation on a true to life green gardenia should help you begin your day on the right foot. In a year with so many good gardenia fragrances it shouldn’t be a surprise I have two on my list. Ineke Ruhland captures a gardenia weighted down and surrounded by the humidity of a hothouse. This gives a depth to the central note that nobody else who assayed this in 2012 came close to matching. I felt like I was surrounded and consumed with this gardenia. Personally, I don’t think that the gardenia note is “weighted down” since Hothouse Flower is such a light, airy fragrance, but I definitely agree that the flower has depth here. In short, Hothouse Flower is a very pretty scent, and one that I would definitely recommend for those who enjoy incredibly light, unobtrusive, discreet, fresh florals. Welcome to Spring! 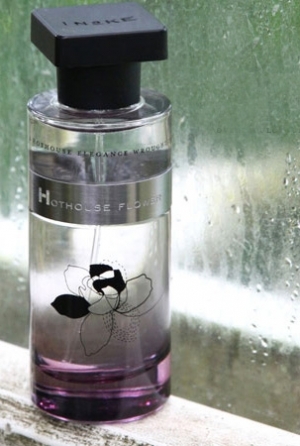 Cost & Availability: Hothouse Flower is an Eau de Parfum that comes in a 2.5 oz/75 ml size and which costs $95. You can purchase it from the Ineke website which ships within the US and to Canada. As noted above, there is a fantastic deal on a Deluxe Sampler set where you get all 8 perfumes in the line for $25 with free shipping. Purchase of the set also gives you a discount if you end up buying a full bottle of one of the perfumes from the Ineke website: “When you place an order for the Deluxe Sample Collection, you will also be provided with a discount code that you can apply against your next order of a 75 ml product from our alphabetical collection on our website. The Floral Curiosities collection for Anthropologie is not part of this program.” In the US and Canada, the perfume is also sold at Anthropologie for the same $95 price. In the UK, Ineke fragrances are carried at about seven different sites throughout the country (as listed on Ineke’s website), but the best online resource seems to be The Grooming Clinic which sells Hothouse Flower for £79.75 with free shipping within the UK. I should note that the Ineke line is generally carried by Liberty London, but I don’t see Hothouse Flower listed on the website. In Australia, you can generally find Ineke perfumes on the Libertine website for AUD$160 but, unfortunately, they don’t list Hothouse Flower. Other retail locations — including a good number of international sellers from Italy to Denmark, Greece, Poland and the UAE — can be found on the company’s Stores page. Samples of the perfume are available via Ineke’s own sample set but if you just want to try this one, Surrender to Chance has Hothouse Flower starting at $2.99 for a 1 ml vial.